Deon Meyer is on tour in Holland and Belgium for the Dutch publication by Bruna of TRACKERS (SPOOR in Dutch). In the first week of publication TRACKERS has entered the Bestseller 60 list and is in the Top Ten crime and thriller bestsellers. He appeared on Thursday 31 October at Polare in Utrecht, see more here. Sunday 3 November he will be at the Flemish Book Fair. Deon Meyer’s latest Benny Griessel novel COBRA has just been published in Afrikaans (as KOBRA) in South Africa. SEVEN DAYS is just out in paperback in the US, the UK and Canada. See more on Deon’s website. 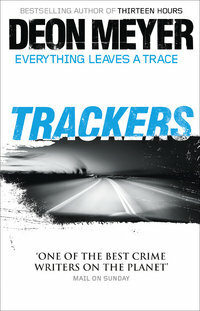 The shortlist for the 2012 CWA International Dagger was announced this week at Crimefest and Deon Meyer has again been shortlisted with his novel TRACKERS, translated by KL Seegers. The Dagger is a competition for crime, thriller, suspense or spy fiction novels which have been translated into English from their original language, for UK publication. The other five books in contention for the Dagger this year are: The Potter's Field by Andrea Camilleri, translated by Stephen Sartarelli, I will have Vengeance by Maurizio de Giovanni, translated by Anne Milano Appel, Until Thy Wrath Be Past by Åsa Larsson, translated by Laurie Thompson, Phantom by Jo Nesbø, translated by Don Bartlett, The Dark Valley by Valerio Varesi, translated by Joseph Farrell. The judging panel consists of: Janet Laurence, non-voting chair, who has written two series of crime novels and the first of a new series: Deadly Inheritance, has just been published by The Mystery Press. She is also the author of Writing Crime Fiction - Making Crime Pay and chaired the CWA in 1998-99; Karen Meek is a library assistant and founder of the Euro Crime website: www.eurocrime.co.uk; Ruth Morse teaches English Literature at the University of Paris. 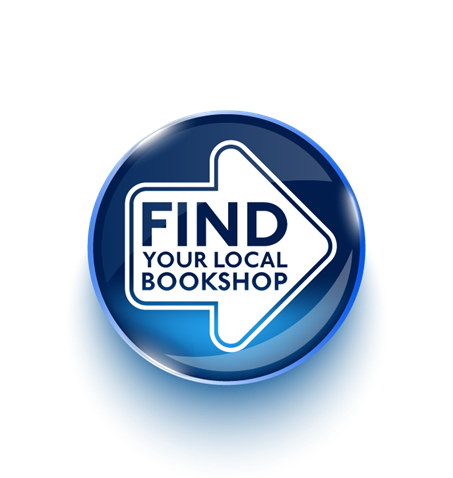 She is a frequent contributor to the Times Literary Supplement; John Murray-Browne is a bookseller. The judges described TRACKERS as 'Meyer at his best'. The CWA Daggers have been synonymous with quality crime writing for over fifty years. The winners of six CWA Daggers - the International, Ellis Peters, Non-Fiction, Short Story, Library and Debut Daggers - are announced at an awards ceremony held in July at a prestigious London venue. The translator, K.L. Seegers lives in the Eastern Cape, South Africa, where she and her husband breed endurance horses and Nguni cattle. She has translated several novels from Afrikaans, and has been Deon Meyer's translator for several years. Named one of the best thrillers of 2011 by Kirkus. Deon Meyer’s TRACKERS (French title: A LA TRACE) reaches No. 2 spot on L’Express best-seller list! 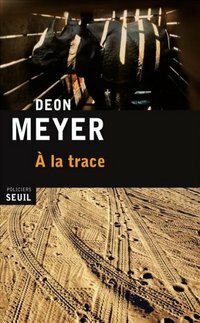 Deon Meyer's TRACKERS (A LA TRACE), published by Le Seuil in France, has reached the No. 2 spot on the best-seller list in the weekly newsmagazine L'Express - the key French bestseller list. In the 1 March issue TRACKERS will feature at No. 2, with French author Daniel Pennac at No. 1, which puts TRACKERS as the best translated novel sold in France for the week of 13 to 19 February. This comes hot on the heels of last week's news of TRACKERS reaching No. 12 on Livres Hebdo's best seller list and the range of fantastic reviews and interviews from several French publications. Read the interview with Deon in the 'Journal du Dimanche' here. TRACKERS also topped the South African charts for many weeks, once again confirming Deon's crown as the King of South African Crime Fiction. Published by Hodder in the UK, Random House in Canada, and Grove Atlantic in the US, TRACKERS was also named one of The Sunday Times Best Crime Novels of 2011, and on the Best Crime & Thrillers list for 2011 in The Independent. Across the Atlantic it was picked as one of the best thrillers of 2011 by Kirkus and the German edition published by Aufbau also won acclaim. Deon Meyer's prize-winning novels are published in 24 countries around the world and many titles are optioned for film. Deon Meyer takes the bestseller lists by storm! Deon Meyer's new Benny Griessel crime thriller 7 DAE (published in Afrikaans by Human & Rousseau, English title 7 DAYS) tops South African charts and TRACKERS, which managed to fend off the likes of Paolo Coelho, James Patterson, and many others, to maintain the Number One spot for eight weeks, is not far behind. TRACKERS was launched in the UK, USA, South Africa and Germany in September and the Sunday Times has tipped it as Meyer's 'best work yet'. The German edition, published by Aufbau as ROTE SPUR, has reached Number One on the KrimiZEIT Bestseller lists too. Three other titles (13 HOURS English and Afrikaans (13 UUR) and the Afrikaans edition of TRACKERS (SPOOR) also feature in the SA Top 100. Kirkus in the US and the Independent and the Sunday Times in the UK have just named TRACKERS one of the best thrillers of 2011. In addition to storming the charts, The South African Boeke Prize Fanatics Choice Award for 2011 was the latest in the list of accolades for 13 HOURS, just two weeks after the novel won for Best Thriller in the Barry Awards at Bouchercon in St Louis on September 15. The novel was also shortlisted for the 2011 Macavity Award for Best Mystery Novel, and the CWA International Dagger award in the UK, and the South African Sunday Times Literary Prize. It's no wonder Deon (and fellow Blake Friedmann client Margie Orford), have been dubbed 'King and Queen of South African Crime Fiction'! Le Seuil publish TRACKERS in France in February 2012 and Deon Meyer will be visiting France, Holland and Scandinavia for publicity tours in February and March 2012.